During this Jubilee Year of Mercy Pope Francis has opened the Holy Door of Mercy to all and encouraged diocese across the globe to open Doors of Mercy in their Cathedrals as well as new places that reach those on the margins of society. 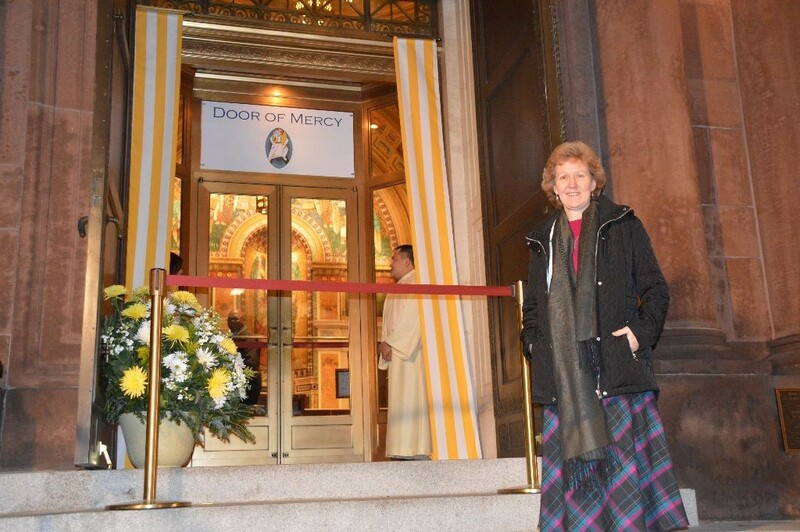 I highly recommend to put walking through a Door of Mercy on your New Year’s resolution list. Walking through a Door of Mercy is like taking a shower for your soul, and you begin again as clean of sin as a new born baby. Pope Francis has granted all who walk through the Door of Mercy a plenary indulgence. I have been privileged to attend the opening of three Doors of Mercy near my home in Virginia. 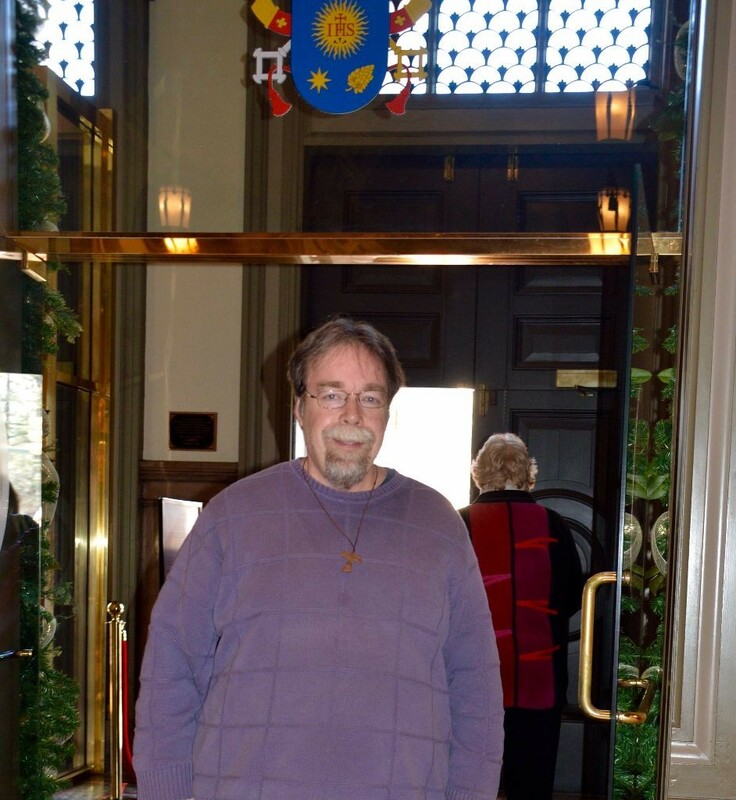 National Minister of the Secular Franciscan Order in America – Jan Parker, O.F.S. The second Door of Mercy I attended was at the National Shrine on the Feast of the Immaculate Conception with Cardinal Donald Weurl leading a beautiful Mass. The third Door of Mercy I attended was at the Cathedral of the Sacred Heart in Richmond, Virginia. 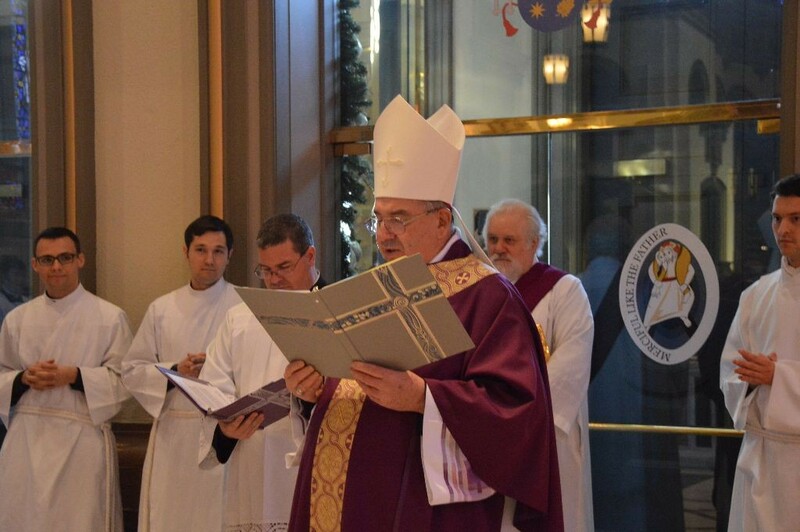 It was a beautiful Mass led by Bishop Francis DiLorenzo. At the end of the Mass a woman approach and said she had not been to Mass for many years and ask as she was crying “Is every Mass this beautiful?” We responded with a positive “YES” and invited her to return. These are the people that Pope Francis is trying to reach — those on the margins — and these Doors are Mercy are not just open to Catholics, but everyone of good will. It was a very moving homily also from Bishop DiLorenzo who quoted from President Lincoln’s 2nd Inaugural Address, and saying that even though the Civil War was 150 years ago, we are still working to “bind the nation’s wounds” of racial injustice and need the mercy of God. Find a Door of Mercy near You! 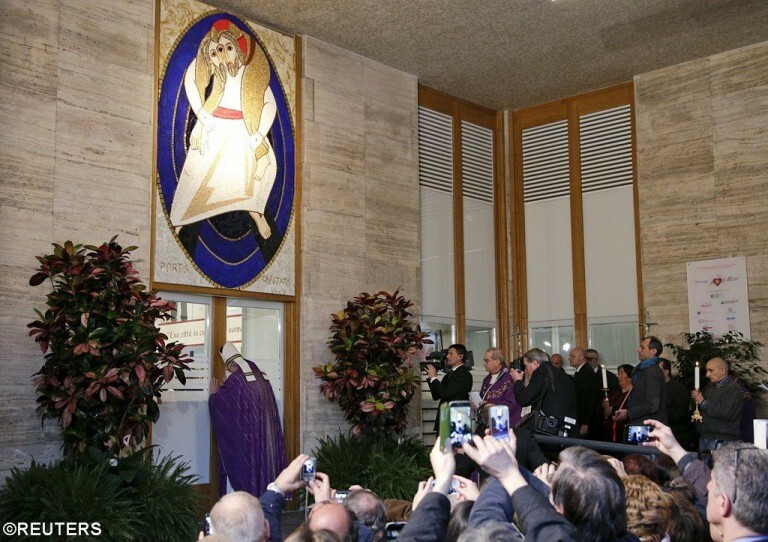 Pope Francis opening Door of Mercy at homeless shelter in Rome on Dec. 19th. John Clem, O.F.S. at the Door of Mercy at the Cathedral of the Sacred Heart.